In the 20th session of Chandoo.org podcast, lets save some time. We all want to save time and stay productive. The obvious answer seems like using keyboard shortcuts. But they can only get you so far. So what about the real productive strategies? That is what we address in this podcast. 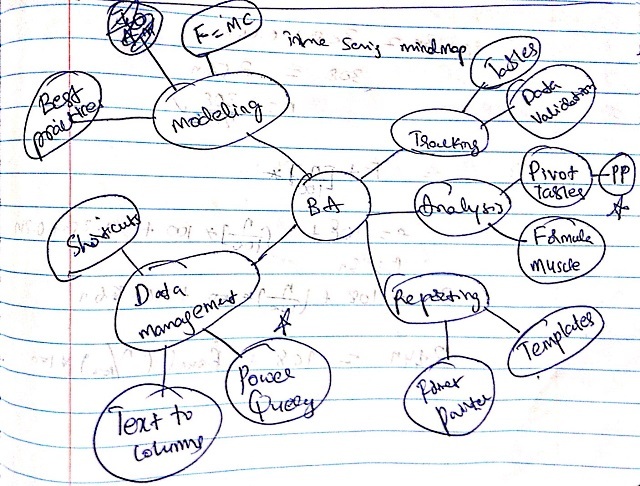 Here is a mind-map of this podcast. Familiarize with Keyboard shortcuts really save lots of time. Thanks so much for providing great topics and content, Chandoo! The PDF transcript doesn't seem to be working though. Is anyone else having that issue? Without a doubt, using a standard approach based on the rS1.Method by Rheinhold Scheck. As a BI analyst, The rS1.Method has allowed me to design, build, review and support all of my models without ever having to re-learn each one after a prolonged period of time. I have saved so much time in every area simply by being methodical and structured. Whilst I use non-volatile formulas (mainly Index and Match) in place of the recommended Offset, and I have revised the worksheet layout for ease of reading and review by the uninitiated, I do use the recommended methods for each functional part of a model build. My models are, largely, as described by the method, meaning anyone else could quickly understand and maintain, deconstruct and expand them, saving even more time and enhancing productivity. My thanks go to Rheinhold for publishing the method in 2008 and to Chandoo for the article on this website that lead me to seek out what it was. Hi chando, works as a data management executive and also do some analysis on inventory Management. But Need to analyise big of the company. 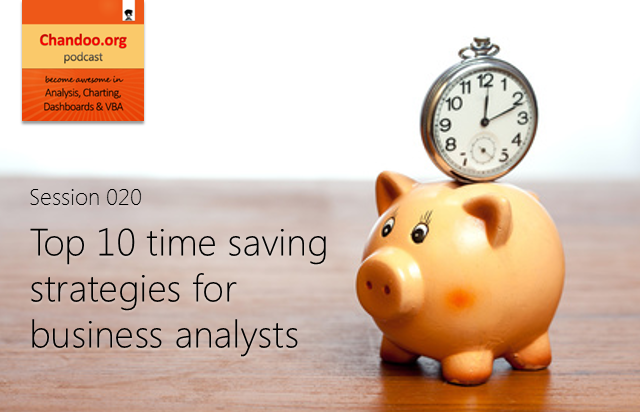 Please share the tips to be productive at job and how once can be a good in business analyst. I Always try put some extra efforts at begining of the anaysis & Reporting & give if some automation features so that in future i have to spent less time in prepearing the report. Whenever possible program in Boolean. I managed to create a cashflow model with over 2 million formula that recalculated in less than 500 milliseconds. I avoided almost completely using any if statements, vlookups etc. It was blitzing on the recalc but if I had to add in another row it would take about 60 seconds to make the adjustment. I often paste data from Excel workbooks into the body of email messages. When I do, it often wraps data onto multiple lines, making the data harder to read. To combat this, I wrote a quick macro to add 1 to all the active columns in my spreadsheet. Now my data looks much better! Enjoy. Thank you chandoo.. You are doing the great job.. This podcast will surely help most of the BA's and beginners in the industry. May god bless you with lot of success and happiness for sharing your knowledge with us. Do you have any quick tips on generating (lots of) fake data (prefferably with a some trends and correlations) for dashboard prototyping? I was hoping PowerPivot's muscle for big data could be leveraged for that, too. very useful session, I should have been on Chandoo.Org earlier, very happy to join your site. AMAZING simplee Thank you Chandoo. I have translated into Spanish for my friends!